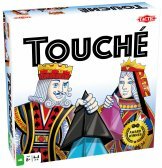 Throw the dice, compare dice patterns and try to win the best cards to win the game! 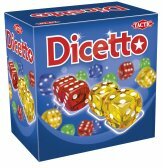 Dicetto takes dice games back to their roots! You are the owner of a coach company and trying to make it big on the continent! Take tourists from one destination to another and try to earn the most points to win! Dodge your competitors and drive yourself to victory! 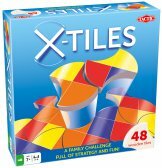 This simple but ingenious game makes the players race to the other end of the game board, while dodging the walls that keep going up! Play your cards right and form different patterns on the game board! 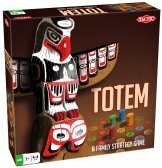 Each player tries to form three different patterns, while attempting to thwart the other players’ progress!